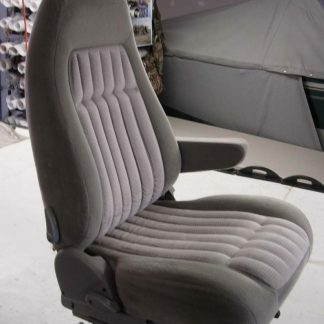 Seat cover is two piece, Top and Bottom. 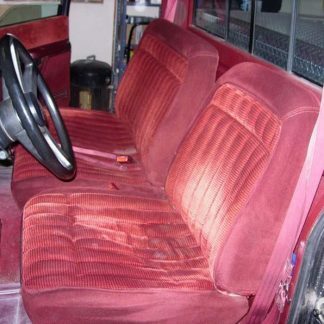 Seat covers are four peices, bottom and top are separate. 40% Driver side, 60% Passenger. 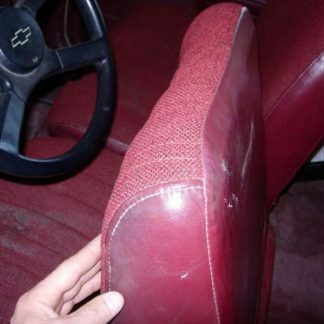 Seat has NO headrests. 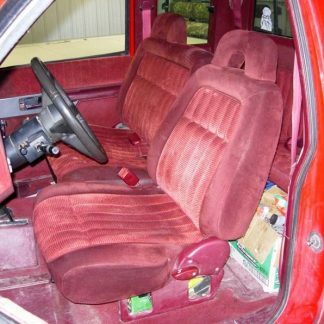 Seat cover is four peices, bottoms and tops are separate. 40% Driver side, 60% passenger side. 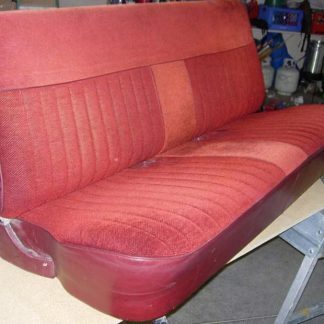 Solid Bench, seat back tips forward. Fits: Chevy/GMC Crew Cab Rear.